Creative Enchitect (M) Sdn Bhd provides industrial solutions to wide range of industries including Oil & Gas, Construction, Marine, Mining, Electronics, etc. 18, Jalan Biola 33/1, Seksyen 33, 40400 Shah Alam, Selangor, Malaysia. We have an ongoing commitment to supply fine quality of industrial products, specializing in safety equipments, abrasives & tools, tapes, adhesives, etc. 3A, Jalan Teknologi 3/5A, Pusat Teknologi Sinar Damansara, PJU 5, Kota Damansara, 47810 Petaling Jaya, Selangor, Malaysia. We specialize in PH meter & controller, conductivity, TDS & salinity, dissolved oxygen meter, thermometer, thermohygrometer RH, etc. #12-3, Prima Bizwalk, Jalan Tasik Prima 6/2, Taman Tasik Prima, 47150 Puchong, Selangor, Malaysia. We supply and distribute ATOS hydraulic components, hydraulic cylinder, Honor gear pump, hydraulic system, hydraulic power unit, etc. 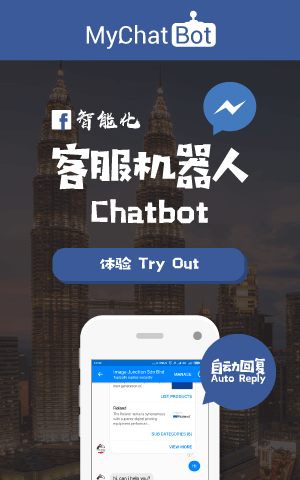 25, Jalan Utama 2/30, Taman Perindustrian Puchong Utama, 47140 Puchong, Selangor, Malaysia. We specialize in marketing and sales of hygiene & industrial wipers, oil, universal sorbents and chemical products. We supply & install building automation system, CCTV security system, alarm monitoring system, public address system and wiring job. We supply Stamping Machines, Premix Machines, Pulverizing Machines, Drying Systems and Packing Machines. 1, Jalan Villaraya 2/1, Villaraya Industrial Park II, Batu 23, Jalan Sungai Lalang, 43500 Semenyih, Selangor, Malaysia. We supply air blower, vacuum pump, centrifugal pump, automatic home pump, fire-fighting pump, metering pump, rotary gear pump, etc. We specialize in diesel generating set, heavy equipment industrial supplies and engine spare parts. We specialize in automotive tools, drilling tools, measuring equipments, mechanic tools, electrical tools, cutting products, etc. 2304, Bedok Reservoir Road, Bedok Industrial Park C, Singapore 479223. We supply a wide range of industrial products such as industrial tools, hand tools, abrasives, cutting tools, measuring tools, etc. UI Engineering Sdn Bhd is an industry automation products supplier in Malaysia. 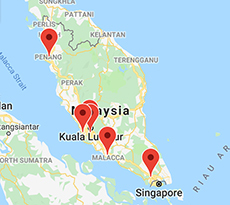 Our main office is located in Penang. The CEO,31-13-11, Lebuh Nipah 5, 11900 Bayan Lepas, Penang, Malaysia. Extro Machinery Trading Sdn Bhd is a company that supplies industrial equipments, components and spare parts. Our office is located in Taman Daya, Johor Bahru (JB). Gigamach Sdn Bhd is a logistic & transportation company that provides loading & unloading of heavy machinery, production machine, tools dismantle, relocate and assemble services. Our office is located in Shah Alam, Selangor, Malaysia. 45, Jalan Serendah 26/39, Kawasan Perindustrian Hicom, Seksyen 26, 40400 Shah Alam, Selangor, Malaysia. Tenzell Industrial Supply is your one-stop industrial supplies solution company. Our customer care team is based in Cheras, Selangor, Malaysia. 22, Jalan Seri Taming, Taman Seri Taming, 43200 Cheras, Selangor, Malaysia. Par Import & Export Sdn Bhd is a leading industry supply company in Malaysia. Our main office is located in Klang, Selangor.